Xiaomi will announce the Redmi 5 and the Redmi 5 Plus on December 7, but we already know the color options for the phones. The company spokesperson Donovan Sung posted on Twitter a set of photos, revealing the Redmi 5 will arrive in Black, Pink and Blue while the bigger version will be available in Black and Gold. 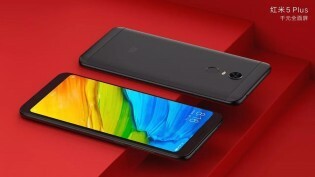 The Xiaomi Redmi 5 phones are advertised as “A phone for a thousand”, meaning it will cost CNY1,000 or around $150/€127. 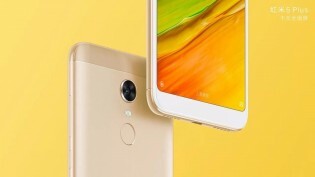 For this price Xiaomi is expected to offer the Redmi 5 with 3 GB RAM and 32 GB storage (but more powerful configurations are also on the way). Other alleged specs include 5.7” FullView display with HD+ resolution on the Redmi 5 and 6” tall screen with FullHD+ resolution for the Plus variant. The OS was already confirmed by Xiaomi to be Android Nougat 7.1.2 with stable MIUI 9 on top. Redmi 5 lake blue which day launching in india?????? ?